Obituary for Louise Linette (Ellis) Sampson | Henry Funeral Home, P.A. Louise Linette Ellis Sampson was born November 9, 1965 in Cambridge, Maryland to William and Hazel Ellis Sr.
Linette, as she was called by family and friends attended Dorchester County Public Schools. She graduated from Cambridge-South Dorchester High School, Class of 1984. She was known by her classmates for being the life of the party. After graduation she attended Chesapeake Community College for four years receiving her degree as a Medical Assistant, Certified Nursing Assistant and Certified Medicine Technician. She was employed with Coldwater, ConAgra and these latter years at Delmarva Community Center. Linette accepted Christ early in life. She loved nothing more than attending church. Truly she loved the Lord and praising Him in & out of church. If she was in church you knew it. Linette was a member of Zion Baptist Church. She was a member of the Mass Choir, C. J. Branch Choir, The Christian Faith Choir and attended Sunday School. Linette loved her pastor, first lady and church family. Linette married Timothy Sampson. From that union they had a beautiful daughter. She loved spending time with her family and friend. She was a huge fan of WWF wrestling, The Young & the Restless, playing video games, shopping, dancing, traveling, listen to music and wearing her jewelry. Linette always tried to put a smile on everyone’s face. 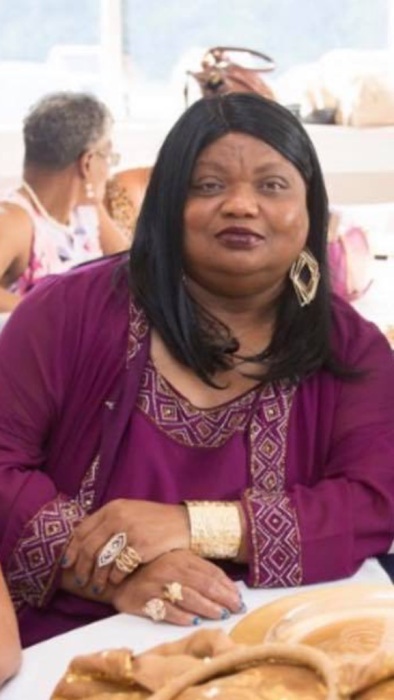 Linette went to be with our heavenly father on Sun., Jan. 21, 2019 at the age of 53. Left to mourn her death and cherish her memory is her daughter, Cierra Sampson (Martin); three granddaughters, Jalayah, Darnjanae and Cierra N. Sampson; her parents, William and Hazel Ellis; a sister, Felecia Ellis; three brothers, William Ellis Jr., Avery Ellis and Curtis Johnson; one aunt, Odessa Wilmore Young (Milwaukee, WI; uncles, Clifford (Betty), East New Market, MD, Sherwood (Dori), Hurlock, MD, Carol Thompson (Baltimore, MD) and Eddie Thompson (Seaford, DE) and Pete Sampson, whom she called brother in-law; Mother in-law, Jeanette Sampson and a host of nieces, nephews, cousins, a special friend since childhood, Renee McKinney and other friends. She was preceded in death by her grandparents Louis Otis and Louise Johnson, one brother, Rodney Ellis, father in-law, Herman Sampson and a special friend, Vanessa Jenkins Sharp.